NSW Greens senator Lee Rhiannon has announced she's quitting her seat in mid-August 2018 to make way for NSW MLC Dr Mehreen Faruqi. The senator Lee announced her early retirement publicly and saying she will be finishing up 10 months before her term is due to expire in mid-2019. "I warmly congratulate Mehreen and look forward to assisting with the coming state and federal election campaigns," Senator Lee said. Mehreen Saeed Faruqi is a Pakistani-born Australian politician. She has been a Greens MP in the New South Wales Legislative Council since 19 June 2013, when she was appointed to the vacancy caused by Cate Faehrmann's resignation to contest the Senate. Mehreen Faruqi was born in Lahore, Pakistan. Her father, a civil engineer, was a professor at the University of Engineering and Technology (UET). She graduated from UET with a Bachelor of Engineering (Civil) degree in 1988, and subsequently worked as a structural engineer. Faruqi and her husband Omar moved to Sydney in 1992, where she began attending the University of New South Wales; her father had previously studied there under the Colombo Plan in the 1950s. She completed a Master of Engineering Science degree in 1994, and later received a doctorate in environmental engineering in 2000. Mehreen Faruqi moved to Port Macquarie in 2001, but moved back to Sydney in 2006. She and her husband have two children together, including Osman Faruqi, a political journalist. Before her appointment to the Legislative Council, Mehreen Faruqi had a 25-year career as a professional engineer and academic. She worked in positions in local government, consulting firms and higher education institutions in Australia and internationally. These included roles such as Manager of Environment and Services at Mosman Council, Manager of Natural Resources and Catchments for Port Macquarie-Hastings Council, and as the Director of the Institute of Environmental Studies at UNSW. At the time she was appointed to parliament, she was Academic Director of the Master of Business and Technology Program and an Associate Professor at the Australian Graduate School of Management for UNSW. 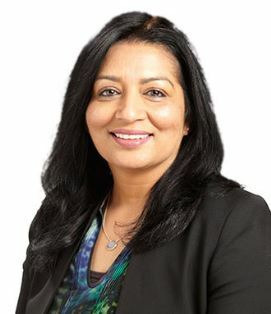 Mehreen Faruqi joined the Greens in 2004 in Port Macquarie and ran as a candidate for the Legislative Assembly seat of Heffron in 2011 and at the 2012 by-election. She was chosen to replace Cate Faehrmann in 2013. In parliament, Mehreen Faruqi has carriage of the following portfolios for The Greens NSW: Animal Welfare, Drugs and Harm Minimisation, Environment, Lower Mid North Coast, Multiculturalism, Roads & Ports, Status of Women, Transport, Western Sydney, and Young People. On 25 November 2017, Mehreen Faruqi defeated incumbent New South Wales Green's Senator Lee Rhiannon in a pre-selection contest for the first spot on the NSW Greens Senator ballot at the next Australian Federal Election. On the behalf of the Australian Pakistani Community, the editorial board of Sada -e-Watan Sydney, we Congratulates Dr Mehreen Faruqi who becomes the first Muslim and First Pakistani woman to be a Federal Member of Australian Senate.